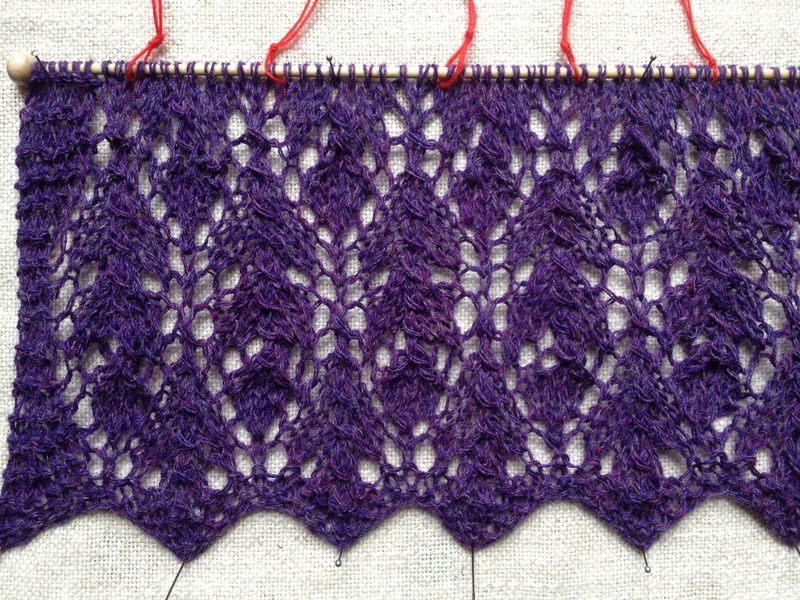 Thistle, one more lace repeat..
To help when knitting a long-term project, I envisaged a strategy to keep focused and enthusiast: make a project out of it! Breaking down the project into chunks – that when reached give a sense of achievement and progress towards the FO – can make it more enjoyable! Basically, you divide your long-term project into sub-sections. In my case, I have the flowery lace sub-section for a total of 7 repeats (this accounts for about 1/3 of the total length) and the scarf body sub-section (which features a simpler lace and accounts for 2/3 of the total project). Each sub-section can be further split into tasks, if you like. Then for each of them, you enter a start and end date, can add task dependencies, record the progress made thus far and export the project in various formats (for example, as an image, a PDF, etc). I have created a project plan using the open source software for Gantt charts called Gantt Project. Open source means that, thanks to development communities who volunteer their time, it’s free – no fees, nothing to pay whatsoever. Cool, I love open source! [Gantt Project] features most basic project management functions like a Gantt chart for project scheduling of tasks, and doing resource management using resource load charts. It has a number of reporting options (MS Project, HTML, PDF, spreadsheets). 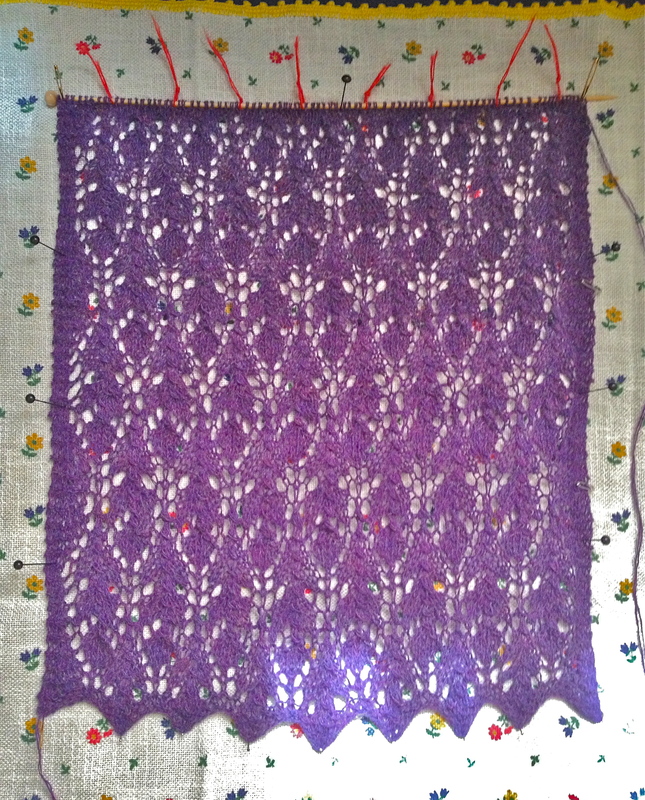 By the way, I completed task ‘Repeat 3’ (the third repeat in the flowers lace section) and I can see that I should have the whole flower repeats by the 25th August, according to the schedule. The body of the scarf should get done prior to the end of September. 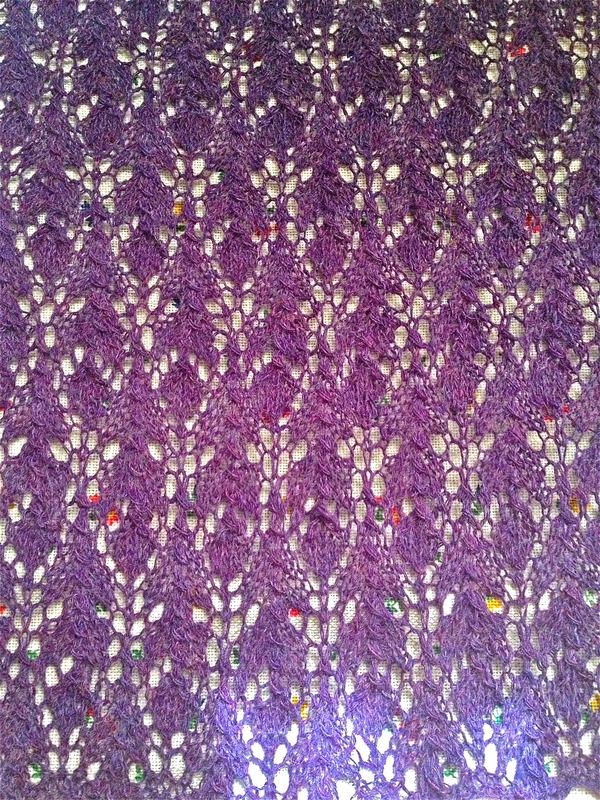 Thistle scarf, the 3rd lace repeat it’s done! Now I know (and cannot possibly attempt to ignore!) 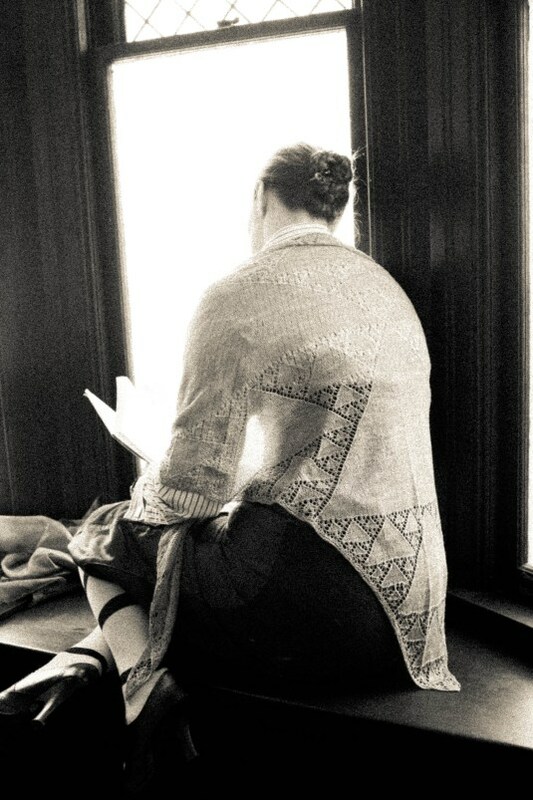 that there is a limited resource: knitting time… so I can’t just keep adding new WIPs. Conversely, casting on new projects will have an impact on the completion of the current ones. 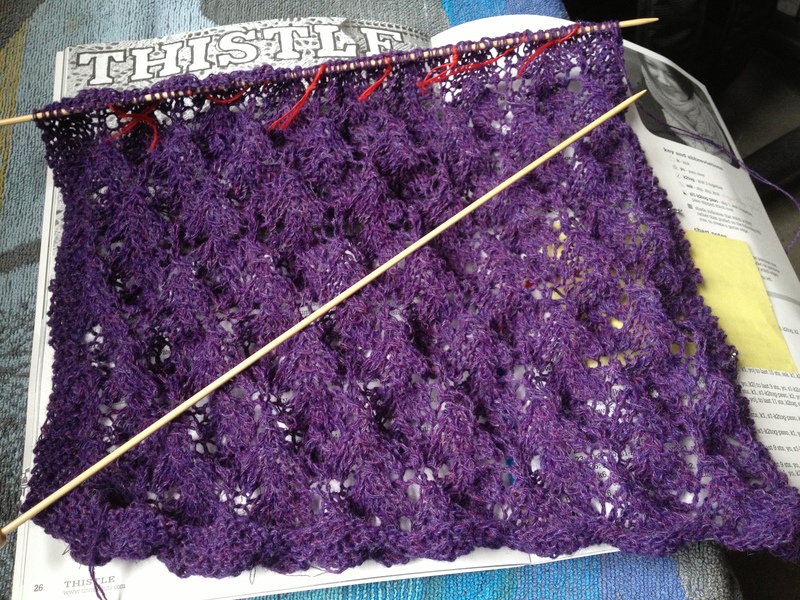 Thistle (WIP) and new project? 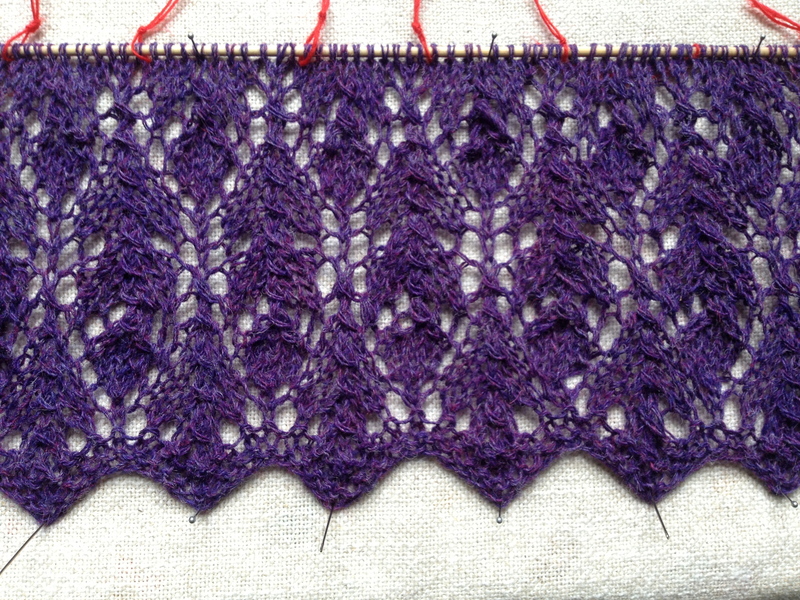 Another repeat in the lace section of the Thistle scarf was completed in the wee hours last night. 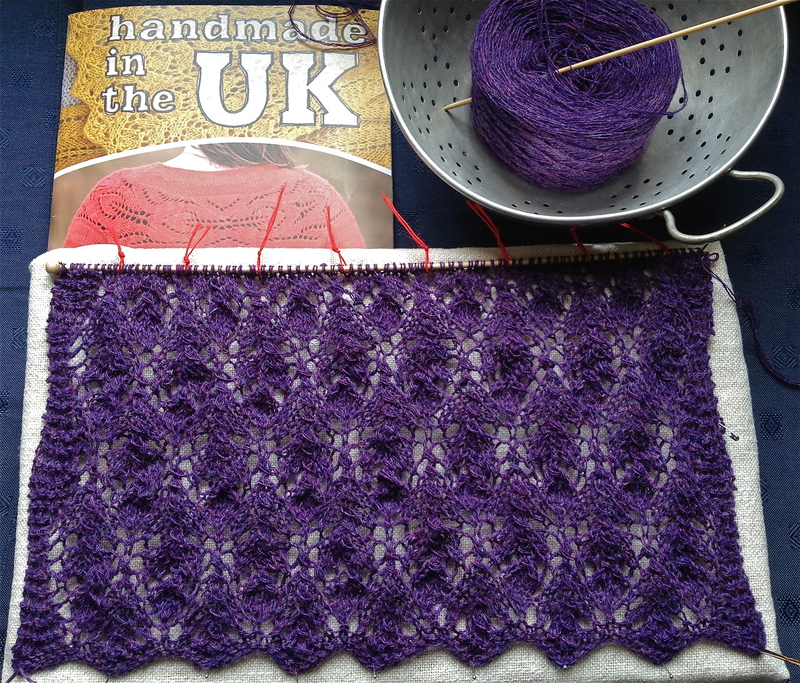 The lace knitting is going fairly well and no major accidents occurred so far – just some minor unravelling here and there. The pattern is not exactly easy with its 28-row repeat and requires concentration. I’m pondering whether to begin another item of a different sort, something that would suit better for those times when attention may not be at hand. 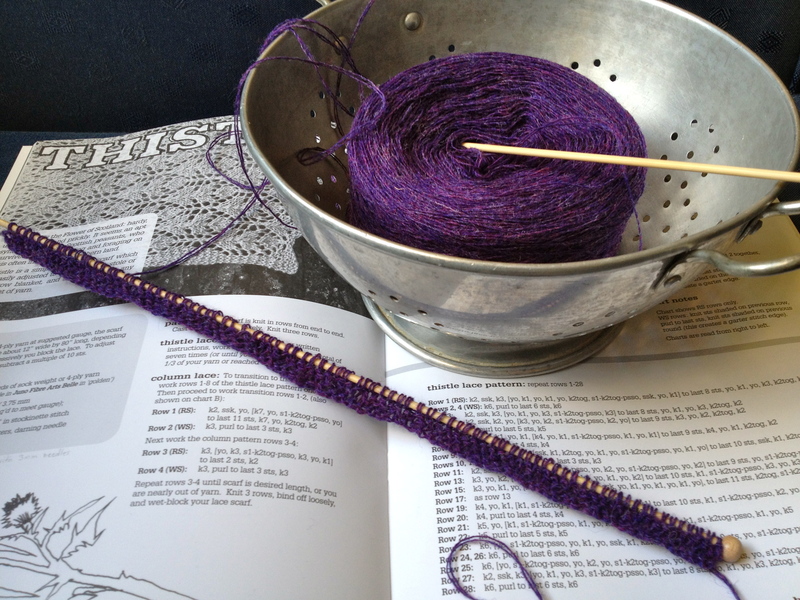 It could be some geeky knitting (a fractal shawl, a Klein Bottle hat), or a Kate Davies’ pattern (Sontag, for example), or some quick and easy knit… Is this the beginning of a startitis? What projects are you working on? How many ongoing items do you usually have?